As part of our overall effort to keep attendee travel and accommodation costs to a minimum and ensure the quality of their stay, Webit Expo & Conference announces a special deal with our preferred accommodation partners, listed below. By using the online registration forms, you are entitled to spacial discount prices for your stay in Sofia during Webit 2010. For Webit Expo & Conference registration, please click here. Discover the charm of a metropolitan European capital hiding at its heart the fascinating tales of antiquity. Mysterious Thracian treasures, magnificent frescos and brilliant examples of art, mystical voices, fiery dances, hospitable people - Sofia has to be seen, felt and experienced! With an amazing infrastructure built on 30 000 sqm, 20 min from the airport and 10 min from the Webit Expo & Conference venue in the centre of the capital, Kempinski Hotel Zografski Sofia invites you to unveil a city within a city with 442 rooms and suites, stunning panoramic views, superb meeting, leisure and dining facilities and a unique lush garden for a stay of unsurpassed luxury and passion to find more. Choose a room with a mountain view and enjoy the snow-capped slopes of Vitosha mountain… or a suite to contemplate the charm of nature in all seasons in the unique Japanese garden. 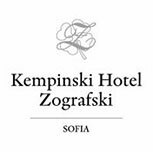 Should you need more space for your stay, reserve one of the Kempinski Hotel Zografski suites and experience incomparable comfort and privacy. Designed in modern style, with elegant Italian furniture, flat screen TVs, high-sped internet, smart card locking system, in-room safe, pay TV system… - try all these and you will not want to stay anywhere else! With meeting venues available in sizes from 10 to 1200 people Kempinski Hotel Zografski Sofia offers you the most comprehensive hotel facilities in the country: 10 meeting rooms on a total area of 1470 sqm, separate reception area with perfect logistics, most modern technology, wireless internet and multimedia possibilities, business centre with a variety of services. After receiving credit card details and the signed booking form, the room will be blocked for the guest for the entire night, regardless of arrival time. In case of no-show, the hotel reserves the right to charge a late cancellation fee amounting to 90% of the room nights booked. Changes and cancellations of guaranteed bookings must be made until 4pm Sofia time 7 days prior to arrival. Webit Notice: Whilst Webit has negotiated the above rates & conditions, our involvement ends there. Responsibility for any booking is solely between the traveler and the hotel. If you want to browse additional accommodation options, feel free to contact our exclusive travel partner Bulgarian VIP Travel.